Miller/Howard Investments, Inc. is an independent, SEC-registered investment boutique with over two decades of experience managing equity portfolios for institutions and individuals in disciplined, dividend-focused investment strategies. We invest in companies that our investment team identifies as financially strong with the ability to pay and consistently raise dividends. Our portfolio strategies include: income-equity broad market stocks, master limited partnerships (MLPs), utilities, infrastructure and components of the energy commercial value chain. We also offer specialized Socially Responsible Investing options. The 90th Academy Awards ceremony will honor the best films of 2017 at 8pm on March 4, 2018. Knife Skills, which is nominated for Best Documentary Short at this year's Academy Awards and screened at last year's Woodstock Film Festival, is available to watch right now on the New Yorker website before the awards on March 4. "A rare, behind-the scenes look at the opening of a fine French restaurant where the staff and trainees navigate the challenges of starting over." Mudbound, directed by part time HV resident Dee Rees received 3 Oscar nominations, including 1) Mary J Blige for Best Supporting Actress, 2)Dee Rees and Virgil Williams for Best Writing Adapted Screenplay, and 3) Rachel Morrison for Best Cinematography. After 651 nominations since 1929, Rachel is the first woman to receive an Oscar Nomination for cinematography. As mentioned before in the January 2017 Woodstock Film Festival newsletter, this amazing film, which was purchased for $12-million by Netflix at 2017 Sundance Film Festival, was also edited by a woman - 2016 Woodstock Film Festival jury member Mako Kamitsuna. For her previous film Pariah, Dee Rees hired a young African American part time HV resident by the name of Braford Young. Since Pariah, Young has lensed films including Selma, Arrival and most recently, Solo: A Star Wars Story. In 2016, he become only the second African American to receive an Oscar nomination in Cinematography for his work on Arrival. Mudbound is available now to watch on Netflix. My Nephew Emmett screened at the 2017 Woodstock Film Festival. For his work on the film, director Kevin Wilson Jr. was honored with our Maverick Award for Best Student Short, sponsored by Gigantic Pictures. My Nephew Emmett is now nominated for Best Live Action Short Film at this year's Academy Awards. "On a dark night in 1955, a Mississippi preacher tries to protect his 14 year-old nephew, Emmett Till from two racist killers out for blood." The Square has been nominated for the Academy Award for Best Foreign Language Film. The film screened last year at the 18th annual Woodstock Film Festival. The Square is playing now in select cinemas, such as Upstate Films in Woodstock. Check their website to find a screening near you. Two prominent Woodstock Film Festival alumni are nominated for Best Supporting Actor, both for the film Three Billboards Outside Ebbing, Missouri. Sam Rockwell attended the 2004 Woodstock Film Festival and participated in our Actor's Dialogue panel with Melissa Leo and Lili Taylor. Sam Rockwell won the award for Best Supporting Actor at the Golden Globes earlier this year for his performance as Officer Jason Dixon in Three Billboards Outside Ebbing, Missouri. 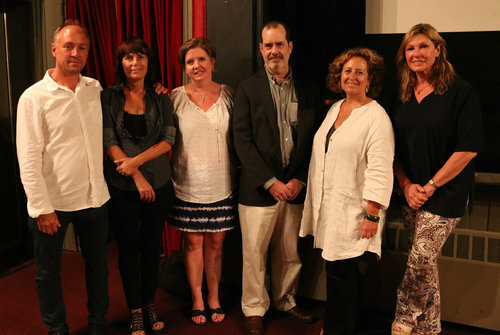 Friends of the Woodstock Film Festival have enjoyed continued success this FEBRUARY. Casey Silvestri, one of our Operations Interns from 2015, works with NBC News and reported on the Winter Olympics on location in Pyeongchang, South Korea, this past month. Click here to see her segment, The Moments That MADE the Olympics, on NBC's Snapchat program Stay Tuned. Our volunteer and house manager of our panels, Noa Jones, a perpetual world traveller who works for Dzongsqr Khyentse Rinpoche, the Buddhist master and filmmaker (The Cup, Travelers and Magicians, Vara: A Blessing), is finally settling down in Woodstock to open a school. 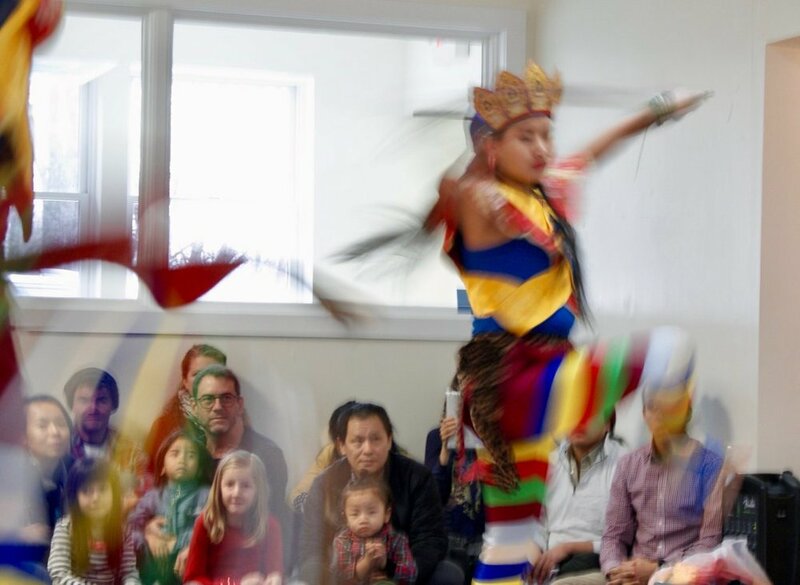 The Middle Way School offers an innovative, well-rounded education merged with the Buddhist view of wisdom and compassion, starting with grades pre-k, K, 1, and 2, adding one grade each year, with the aim of elementary through high school. Thanks to a grant from NYSCA and matching facility donations, renovations have started at THE FILM CENTER. There is always more work to be done, so please consider giving to our Capital Campaign fund. Work includes demo and renovation of 2 office spaces & a bathroom, electric upgrades, new windows, and most importantly, installation of foam insulation under the roof line to keep heat in. Painting will start March 1, and we are looking for volunteers to come in to help. Please email info@woodstockfilmfestival.com if you are interested. The property was purchased in January 2011. The site was originally home to Heckeroth Plumbing & Electric, where the iconic film legend Lee Marvin once worked as an apprentice plumber. 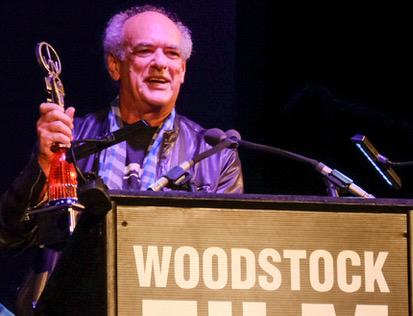 Join us at the 19th Annual Woodstock Film Festival, on October 10-14, 2018.